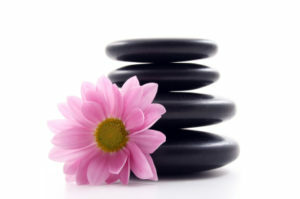 Time Out Therapies can come to your workplace! Massage in the Workplace can be incorporated into your Wellbeing Event. Short treatments between 15 minutes and half an hour can even be taken at your desk. Where there is a suitable space available, staff may be treated to a massage on the treatment table, which allows some deeper work and greater relaxation. Seated Indian head massage includes the upper arms, shoulders neck and head. It releases muscle tension and relaxes the body and mind, subsequently improving productivity! Hand and arm massage are great for those suffering from RSI, and can be combined with neck and shoulder massage for those who spend a long time a a computer. Reflexology and Reiki treatments may be received away from the desk. Both are incredibly relaxing treatments which can help the body to heal itself while calming and soothing the body and mind. Please contact us to discuss how we may be able to help your company improve levels of job satisfaction, decrease sick days, and participate in improving the health and wellbeing of your valued employees. Massage in the workplace has the benefit of being tax deductible in the workplace when the employer subsidises or provides the service free to employees. Mary has experience of working in companies such as EDF, EDP, South West Water, Accenture, charity events and retreats in additional to her usual clinic. Mary, the principal therapist, can also provide one or a number of therapists for taster treatments or full treatments at festivals, fetes, sporting events and hen nights.